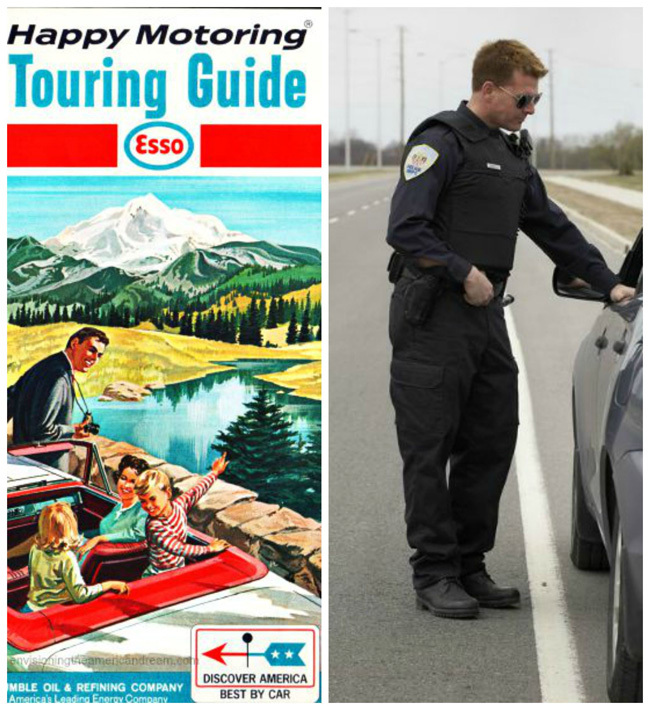 Happy Motoring is not something Black drivers can take for granted. 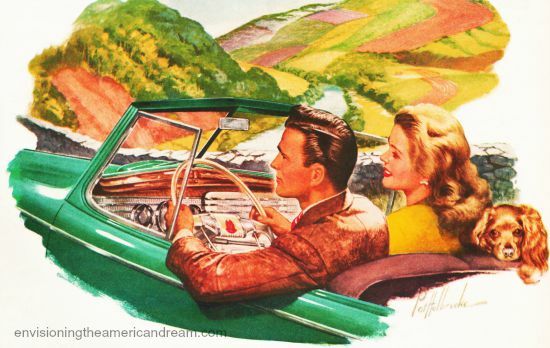 Americans have long been urged to discover the vast greatness of America by car. What many discover especially when driving while black, is the rules of the road are not paved with equality. 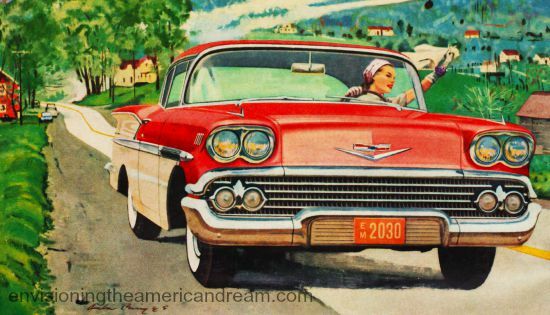 “See The USA in Your Chevrolet.” Broadcast in living color on the Dinah Shore Show, Dinah’s classic tune had a different meaning for people of color. 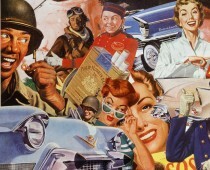 The upbeat, all-American optimism expressed in the vintage jingle “See the USA in Your Chevrolet,” have some American’s singing a very different tune . As the bitter debate about how our police forces treat non white citizens escalates, it has exposed a truth many minorities already know. Driving in the USA whether in a Chevrolet or a Honda can be fraught with problems if you are African-American. One need only look at the recent tragedy of Sandra Bland to see that the freedom of the open roads are a lot more constricting if you are Black. Nothing is more quintessentially American than driving on the open road. It is the tangible expression of America’s love of freedom and mobility with it’s offering of possibilities and adventures unfolding. But for African-Americans the possibilities and adventures of the road can take a more ominous tone. Racial disparities in police stops are well documented. Cops stop and search Blacks drivers at rates higher than whites. Police are more likely to threaten or use force against Blacks at a traffic stop or elsewhere. Blacks are more likely to have their vehicle searched during traffic stops. The freedom of the road that whites take for granted, is a privilege. Even a minor traffic infraction can turn threatening if you are Black. Pulled over for changing lanes without using her turn signal, the police confrontation with Sandra Bland escalated into an overly aggressive encounter ending with her dead in a jail cell days later. Clearly the rules of the road are different if you are driving while black. Not that this changes anything, but the thought just came to me. Blacks are America’s Jews. Europe has the Jews. Japan has the Koreans. Just a thought. Completing – in too many Muslim countries, Christians are the Jews. In only the last 12 months I’ve read about several occasions when Christians were sentenced to long prison sentences, even to death for blasphemy – in Sharia law courts. And according to Sharia law. the word of a righteous Muslim is the truth. So you could at least get life for “mocking the Quran” or the Prophet, even preceded with whipping in public. A married couple were lynched in Pakistan some time ago, and burned alive in a pottery oven. Often Christians are accused of burning leaves of the Quran. Hard to prove that you have not done it. By the way. if I remember my confirmation classes right, burning is the recommend way to dispose of worn out Bibles – preferred before the garbage can, paper recycling or burying in the ground. In 1400 years, countless numbers of Qurans must have been worn out, soiled, waterlogged and so on, that is, destroyed and unusable. And when the terrorists blows up mosques and burns down schools and private homes, they must also have been destroying lots of Qurans. Sandra Bland’s traffic stop only escalated because she refused to comply with a police order. From what I’ve read, the officer was allowed to require her to extinguish her cigarette, because it could have been thrown / flicked at him in the close distance of the traffic stop. From what I’ve read, he was allowed to arrest her for failing to comply. If she had just extinguished her cigarette, all of this would have been avoided. Beforehand, she was agitated. The officer noted that, and she admitted it. If the narrative of cops versus black and vice versa hadn’t been drummed into her head, maybe she would have been less agitated, and all of this would have been avoided. I place part of the blame for her death, and those of others who have been uncooperative with cops when they have had the right to do what they did, on people like you who encourage this antagonistic attitude. Look in the mirror, and realize that you are partly to blame.